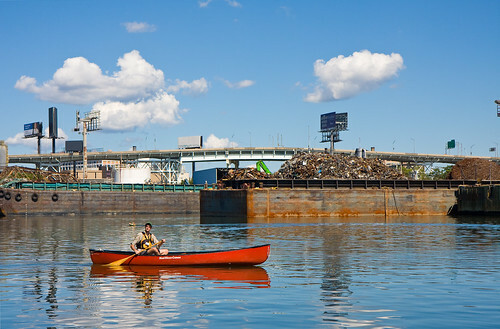 Greenpoint is about to get a whole lot greener: more than a dozen community organizations will be awarded a total of $600,000 in funds to make up for ExxonMobil’s massive Newtown Creek oil spill. New York Attorney General Eric Schneiderman announced the first round of funding from a $19.5 million settlement yesterday. Previewing season two of HBO’s Vice to an audience of NYU students last night, Vice Media co-founder Shane Smith admitted there was a time when “we were concerned about rare denim, cocaine and super models — we weren’t the nicest people.” Of course, times have changed. The HBO show was nominated for an Emmy (“a bunch of dirtbags from Brooklyn finally make good,” Smith said last year) and the Williamburg-based media empire launched Vice News this week. Performance artist Laurie Anderson will be in the East Village tonight at the Strand, one of her first public appearances since losing husband Lou Reed in October. After dropping an oral history of the East Village’s Pyramid Club earlier this week, the Red Bull Music Academy has now announced the line up for this year’s month-long RBMA festival, coming in May. Among the 15 events are a party at the Brooklyn Night Bazaar, a laser show at the Brooklyn Masonic Temple, a record fair at Brooklyn Flea, a Panda Bear show at Warsaw, and a street party honoring Paradise Garage. Buyer of Chinatown Fish, Beware! 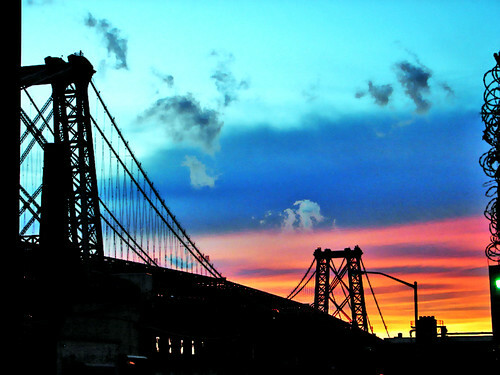 No, it doesn’t all come from the East River. But there’s been an outbreak of a rare bacterial skin infection caused by handling live or raw fish sold in the city’s Manhattan, Brooklyn, and Queens Chinatown markets, the city’s health department announced today. If that new movie about Fort Tilden didn’t have you longing for summer, this new video from The Men surely will: it involves a trip down to Robert Moses State Park and some True Detective-style dabbling in the occult. The song, “Pearly Gates,” is a hard-chugging throwback rawk tune in the spirit of “LA Woman,” and it’s off of Tomorrow’s Hits, out this week via Brooklyn label Sacred Bones (you may have seen a mural for the album — their fifth in four years — in Williamsburg). These people are flippin’ insane. It’s National Pancake Day at IHOP and here’s what the line looks like on East 14th Street. Over 150 people strong — most of them dorm kids. At 7:30 p.m., the person at the front had been waiting for over an hour in 30-degree weather. One happy customer walked out and said, “Totally worth the wait. Four dollar dinner.” And here’s a look at the back of the line. A rendering for the so-called Sexton Plan. An advisory group made up of NYU faculty and students released a long-awaited report about NYU’s controversial expansion plan today, recommending the school beef up the first building it plans to add in Greenwich Village. (Clare McNulty and Bridey Elliott in Fort Tilden. It’s hard to get accepted by the South by Southwest film festival — especially if you’re not from New York. This year’s festival features eight films, chosen from 1,324 submissions, and more than half of them have roots here: The Heart Machine, directed by Village Voice film critic Zachary Wigon; Wild Canaries, Lawrence Levine’s Brooklyn-based film; The Mend, set in Harlem and directed by John Magary, who attended Columbia University’s graduate film program; Brooklyn resident Leah Meyerhoff’s I Believe in Unicorns; and the world premier of Fort Tilden, about two girls’ “needlessly complicated” bike ride from Williamsburg to Rockaway’s Fort Tilden beach, co-directed by two NYU MFA film candidates.